We are amongst the most reputed names in the industry, offering LDR Sensor. We are engaged in offering LDR Sensor. Our reputed entity is engaged in supplying LDR Sensors. The LDR Sensor Module is used to detect the presence of light / measuring the intensity of light. The output of the module goes high in the presence of light and it becomes low in the absence of light. 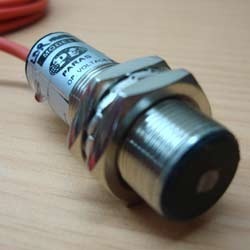 The sensitivity of the signal detection can be adjusted using potentiometer. High quality industrial grade light dependent resistor. - Output Type Digital – Logic High or Low. - Power indicator (red) and Output Indicator LEDs. We are offering LDR Sensor to our customers.